I have always been interested in environmental issues and the burning hot summer and the worrying state of the world turned my attention back to it. Last week we went on a Zero Waste walking tour organised by la maison de zero déchet, it was very interesting and inspiring and I’m planning to write a little post about it, after all the wedding madness is over. So I have started a new column on my blog, with the title “Turn a new leaf”. I will try to write about the new discoveries we are making on the road to a greener and more conscious lifestyle. I also might do some interviews because I love interviews. The first article is a university paper I wrote in 2013 for my Late Victorian Literature class. We spent most of the semester on Dickens’s Our Mutual Friend and frankly I came to quite hate it by the end ( I don’t think I have actually finished the book even though my tutor was so nice to gift me her copy…) But the idea of recycling things and making use of everything seriously appealed to me and that was the subject of my essay, combining it with the idea of evolution.You have to note that it was 5 years ago, so I would probably write a better essay now. This is here for your reading pleasure and food for thought, please don’t copy-paste it into your own paper and hand it in because a) it’s not nice b) teachers have softwares for those kind of machinations c) I will know and I will come to tickle your toes at night when you’re alone at home and least expect it. Yes yes. Our age turns towards the Victorian era with a renewed interest and fascination. The period is a cornucopia for researchers because it has the advantages of both being historical and remote, but in a way also very recent and familiar. The roots of modernity reach back to this era. 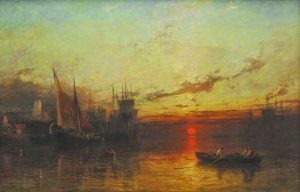 The changes in modern life are the topic of many works written after the 1850s, one of which is Dickens’s Our Mutual Friend (1865), which will be the main focus of this essay. Many of these aspects have already been mined as a consequence of the emergence of Neo-Victorian studies. The existence of this discipline shows that there are various aspects of this rich era which can be the subject of academic interest many of which are mentioned by Kate Mitchell : “a fascination with the period invaded film, television, trends in interior decoration, fashion, genealogy, advertising, museums, historical re-enactments, politics …(1)” However, there are also yet unexplored and niches for new researchers. Furthermore, we will try to connect the idea of recycling and lower-class resourcefulness to Darwin’s On The Origin of Species (1859) by looking at the idea of evolution and the concept of Struggle for Survival. The ability to find new use to objects can be seen as an advantageous faculty, chiming in with Darwin’s statement: “Can we doubt (…) that individuals having any advantage, however slight, over others, would have the best chance of surviving and of procreating their kind?” (63) In the hands of some characters in Our Mutual Friend, waste no longer remains waste but continues to take up new functions and characteristics. Drift wood becomes fire and dead animals become decorative objects. Firstly, we will look at the role of the Thames as the main place where recycling takes place; characters disappear and reappear in the river and objects plunged into its water have a chance to re-emerge as something new. Moreover, we will briefly touch upon evolution and re-usage by looking at the description of Venus`s shop and see how its darkness can be linked to anxiety resurrection and evolution. While examining these exerts we will discuss the possible anxiety caused by the resourcefulness and renewing powers of the lower classes which might help them to a better position in the struggle for survival. 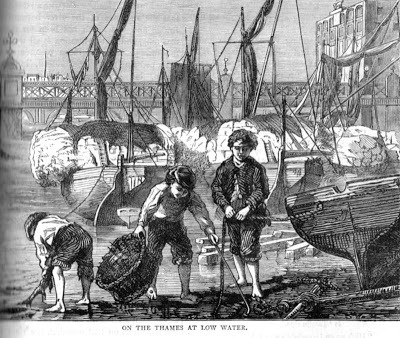 Our Mutual Friend opens with a scene on the Thames depicting the hard and nauseating work of Lizzie and her father scavenging dead bodies for their earthly possessions. The adjectives describing them and their work are quite suggestive; they reflect not only the gruesome nature of their work but possibly society’s stance on them, as well. The father has “ragged grizzled hair and a sun-browned face” and Lizzie is referred to as a “dark girl.”(1) The reference to the colour of their skin immediately ranks them as lower class but it also hints at the possibility that their work might not be hundred percent legal. Furthermore, the boat is described as being “allied to the bottom of the river rather than the surface” (1) which reinforces the preconceptions we mentioned above, but also brings in more sinister connotations: unknown depth and death. The bottom is where shapeless and threatening things lie, both in the river and in society. Also, it is the place where the carcasses end up. 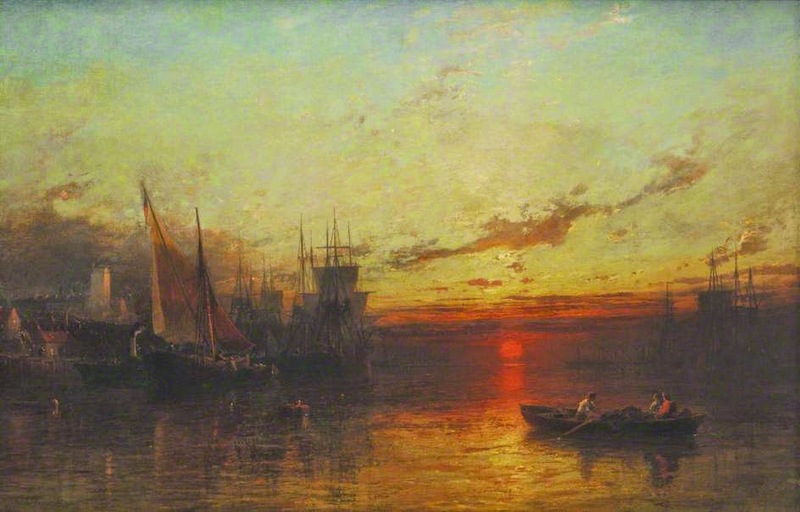 Death is also evoked by the fact that in the light of the deepening autumn evening the two characters in the boat appear in a mystical light; there figures navigating on the slime and ooze of the water’s surface subconsciously reminds one of the ancient ferryman on the borderland of Hades: Charon. The Thames can be seen as the river of the underworld, swallowing people and storing dead bodies. On the other hand, it is also a place of resurrection and recycling both of people and objects. John Harmon is believed to have drowned in the Thames, but he re-emerges as John Rokesmith, (re)christened by the river. Regarding the reuse of objects and not of characters, it is the Hexams who make the most use of the river. Their treasure is other people’s waste. The two following quotations illustrate very well how many things they gained from the Thames. “As if it wasn’t your living! As it wasn’t meat and drink to you!” (3) says Gaffer who tries to disperse Lizzy’s doubts about the righteousness of their work and her slight disgust with it. He depicts the Thames almost as if it was another caring parent. River waste is reused imaginatively by Gaffer Hexam: it provides his family with food, fire and even household object, such as a cradle. Ironically, the river which is a burial ground for many bodies provides a young life with its comfort and later with a “living”. Gaffer’s great surviving capacity lies in his ability to recognise a new use in every object that; for example, the Veneerings would not be able to do. In this respect we can see how his recycling can be connected to his success in the struggle for survival, echoing Darwin’s words: “There is a frequently recurring struggle for existence, it follows that any being, if it vary however slightly in any manner profitable to itself, under the complex and sometimes varying conditions of life, will have a better chance of surviving.” (Darwin, 7) Although he dies relatively early, he still managed to bring up two children by himself, relying mostly on the river and his own capacities. We can see that the boy also utilises things adrift from the river; he looks for coal and iron as his official job, but he can also collect firewood for his mother. All things considered, we can say that the London poor were very innovative in their ways to survive under dire circumstances. When we first enter Venus’s shop, we have the feeling that something obscure and unusual is happening inside. Dickens’s description strengthens this suspicion: “Dark shop-window with a tallow candle burning in it, surrounded by a muddle of objects, vaguely resembling pieces of leather and dry stick, but among them nothing is resolvable into anything distinct.” (77) The adjective “dark” which we have already found in the description of Lizzie and her father features repeatedly in the depiction of the shop; for example, three times in one line saying: “dark greasy entry,” “greasy dark door” and “dark greasy shop”(78). Later we discover that Venus’s shop sells stuffed animals which again can be seen as an interesting and innovative reuse of waste and death. His business inspires the same feeling as the Hexams: it is very resourceful and utilitarian on the one hand, but disturbing and gruesome on the other. It appears that in the hand of restless re-users death is not the final destination of life. Inside of the shop nothing has its set form, “nothing is resolvable into anything distinct,” which means that these things are impossible to classify, to find them a concrete set place. This darkness and inability of classification leaves a feeling of anxiety in the reader which can be connected to everything we said about the relationship of evolution, struggle for survival and middle class anxiety. The importance of a set place in taxonomy can be seen from Beer’s quotation: “So classification becomes not an end in itself but an arrested moment in a long story. Taxonomy and transformation are set in tension.” (57-58) It is centred around the thought of evolution: classification cannot last forever, since things are constantly evolving. This quotation gains importance if we think of the ways how waste does not remain waste but develops into useful objects and parallel to this how the dark possibility of lower class people evolving into something more is there in the text. 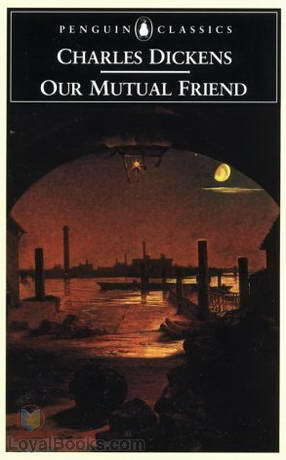 In Our Mutual Friend resurrection and recycling are major topics and both have the Thames as one of the major venues. The 19th century saw the birth of a whole subculture which used the Thames as a livelihood; for example, the mudlarks or scavengers like Gaffer Hexam. Beside the river, we can see a peculiar recycling in Venus’s shop: dead animals are reborn as decorative objects to beautify homes. It is remarkable how many ways these characters found in order to throw away as least as possible, while people from the higher classes such as the Venereings or the Boffins are all too eager to waste their money. It seems dire circumstances had taught lower class people to be resourceful, which paradoxically makes them more fit for survival than some of their middle class people. Although Darwin’s Origin of Species was not yet published during the writing of Our Mutual Friend, there was another book of popular science Vestiges of Creation which was quite well-known and which planted the thoughts of evolution in the common knowledge. Although the connection is never made explicit, the examples here examined clearly show that lower-class people who recycle the most and who seemed to be the fittest for survival in the struggle for existence are frequently depicted by the use of sinister adjectives. The “haunting ground” of the Hexams is almost otherworldly and they have dark places and the same could be told about Venus’s shop, which reflect middle class anxiety about the possibility of their lowers evolving into something better. 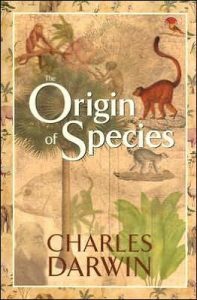 DARWIN, Charles: The Origin of Species New York: Oxford University Press, 2008. Print. DICKENS, Charles: Our Mutual Friend New York: Oxford University Press, 2008. Print. MAYHEW, Henry: London Labour and the London Poor London: Griffin, Bohn and Company, 1861-1862. MITCHELL, Kate: History and cultural memory in Neo-Victorian Fiction: Victorian Afterimages New York: Palgrave Macmillan, 2010. Print. We have to mention also that Dickens does not seem to be in favour of middle-class social climbers either, we only have to think of the satirical depiction of the Veneerings. The only counterexample seems to Jenny Wren, the little doll’s dressmaker who reuses scrap pieces of clothing, but is still portrayed to be as a highly positive and lovable character.